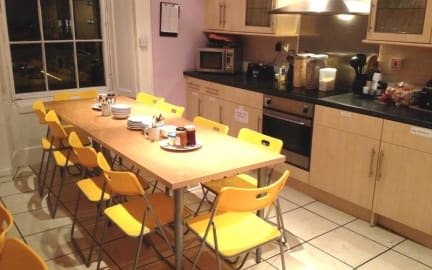 Great hostel - good location, close to bus stop, restaurants, Tesco, cafe ,etc. ; friendly staff; spacious room... So I booked more nights. I will recommend this hostel to my friend definitely. Staffs there are very nice and very willing and patient to answer my questions. The bed are very comfortable and clean. I like the service of offering free breakfast very much since it saves me a lot of time and prepares me a good start of a travelling day. 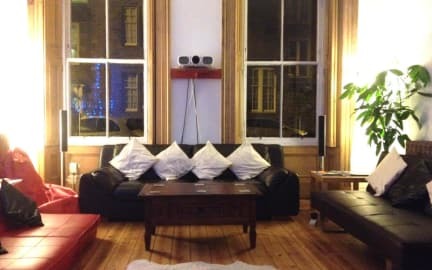 This hostel is just like a warm home. On the day I checked in, the price went down £2,3 per night compare to the price when I made the booking weeks ago, which is not really fair to people who made an early booking. Other than that, everything is fine. The staffs are great and excellent!! Really nice and friendly!